Make the whole family happy this Christmas with ‘Family Portrait Gift Vouchers’; Contact 1PORTRAIT today to order your voucher for that special someone! 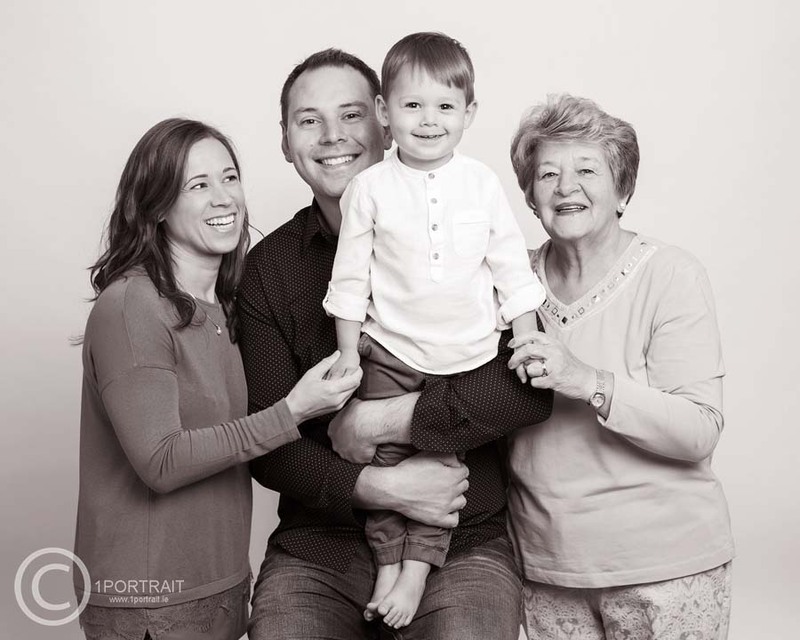 Below is a recent ‘3 Generations Portrait’ in our classic B&W signature style. This is the perfect thoughtful gift, which lasts a lifetime! 1PORTRAIT Gift vouchers can be purchased for any amount over €85 (session fee). Vouchers can be purchased securely on-line via PayPal/credit card payments or direct from the studio by simply calling +353 1 493 9947. Gift vouchers can be posted directly to you or personalised for the recipient.